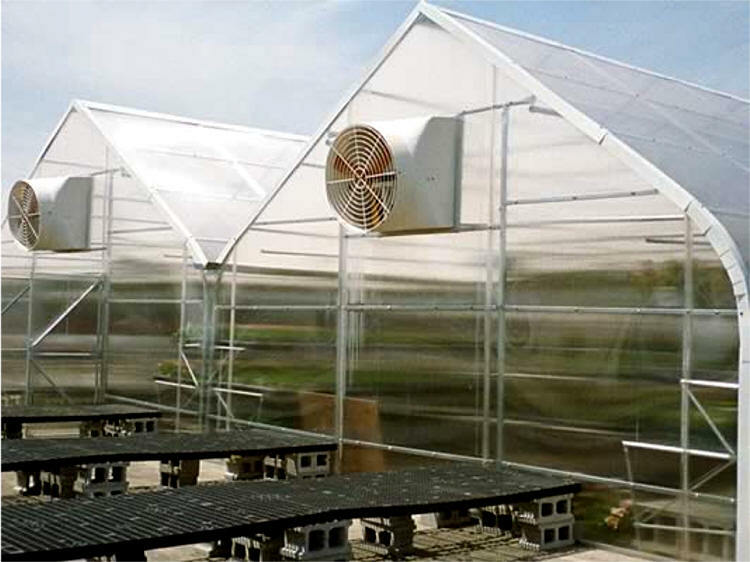 The Retail-Mart is designed much like a growing house to satisfy your live product’s need for sunlight and ventilation. 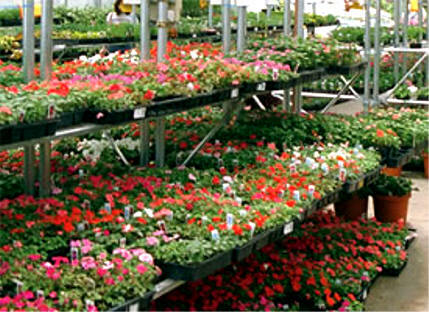 Users can sell live goods and gardening products year-round, from bedding plants to Christmas trees. The unique benching system can be adjusted or removed to accommodate pallets, power equipment or trees. 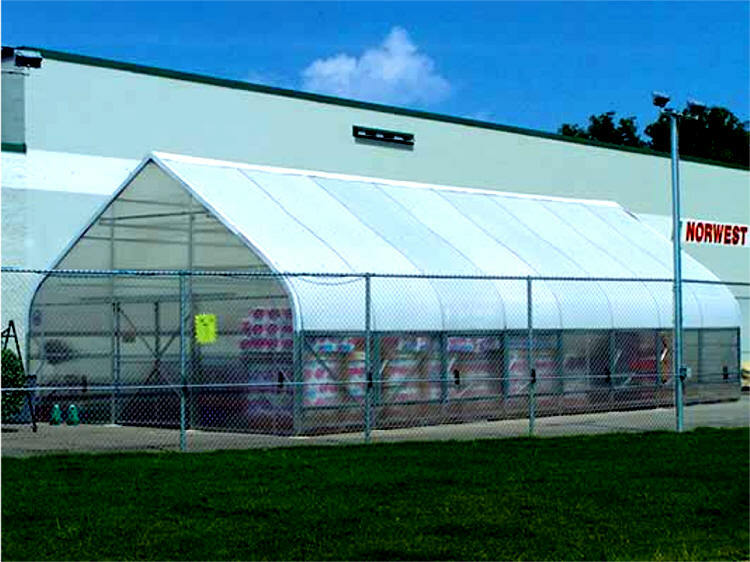 Sturdy polycarbonate structured sheeting provides years of protection. Retail-Mart comes with display benching brackets built in. The Retail-Mart contains built-in side and center benching brackets to display your product to your customers in the best possible way. These high capacity built-in displays provide more benching area than standard block & plank. 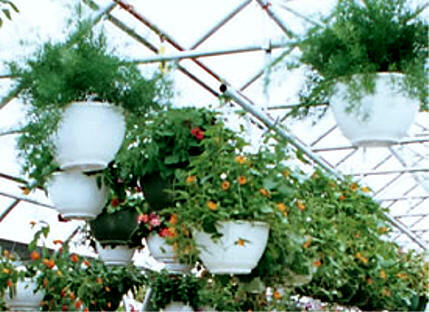 Each bay also includes four runs of hanging basket purlins. 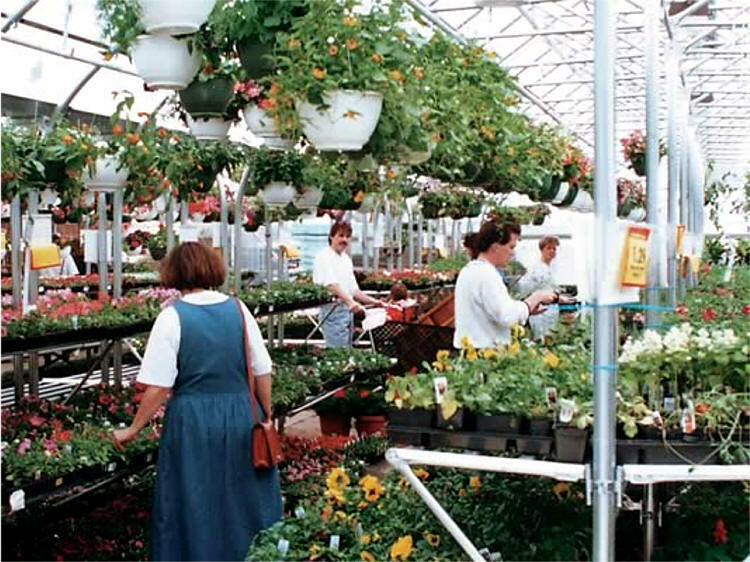 Display benching can be removed for seasonal sales such as Christmas trees and snow blowers. Strong and attractive 6-foot bench tops are included so you don't have to make your own out of wood. Bench tops are easy to install and long-lasting. Best of all no more splinters or sore back from lifting heavy wooden bench tops. Choose from the "Z" bench display or if you want to display as many flats as possible then choose the flat stacker center display. The Retail-Mart can be placed on a concrete pad with anchor bolts or on open ground with ground stakes set in concrete. A wide six-foot opening allows easy access to the Retail-Mart for your customers and carts. Choose from double sliding or double swinging doors. 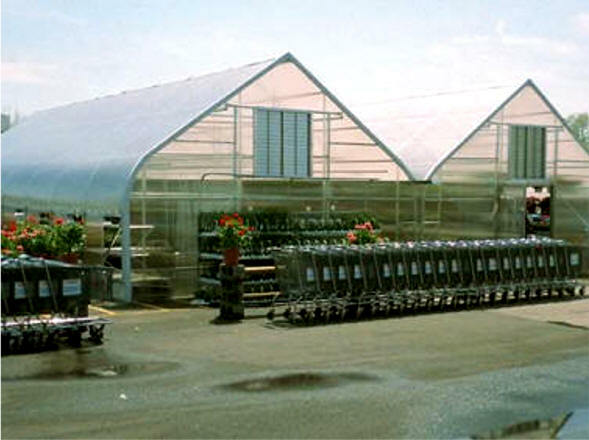 Covered in durable, twin-wall polycarbonate they stand up to the rigors of a busy retail environment. 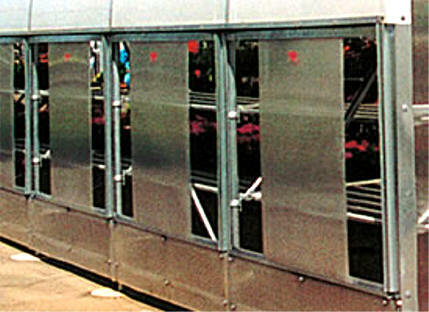 Slide-Side ventilation is easy to use and will keep your customers comfortable and happy in all weather conditions. Additional ventilation can be added with high-output exhaust fans.